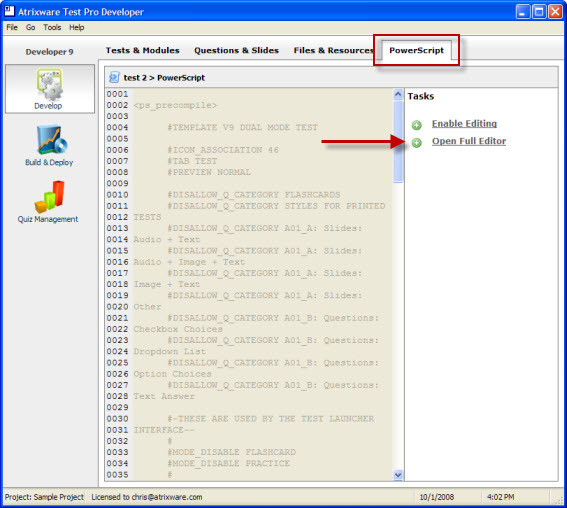 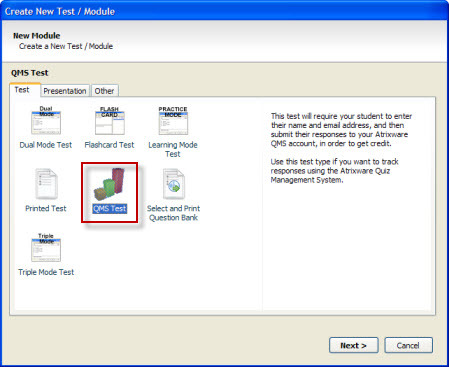 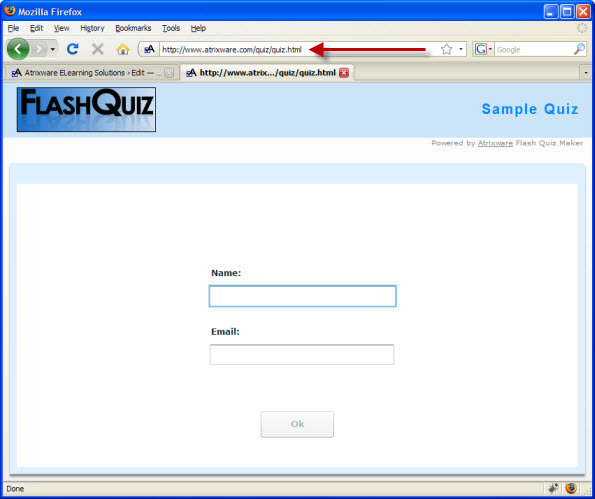 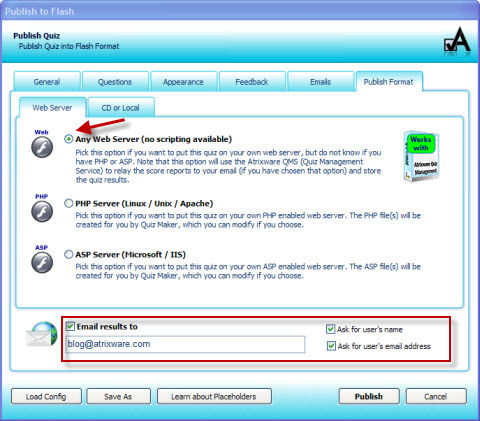 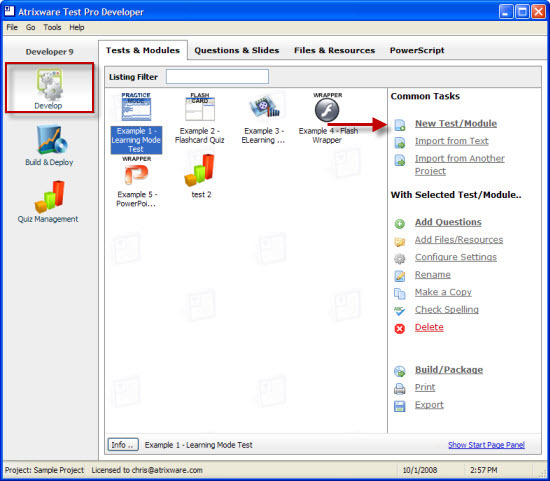 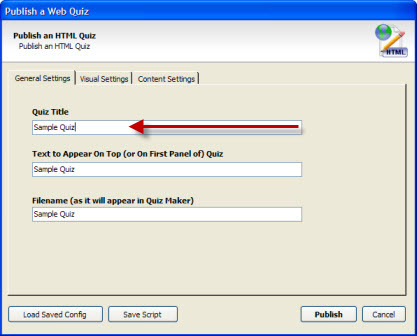 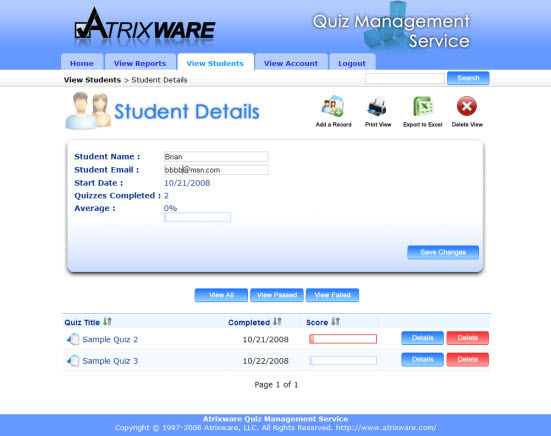 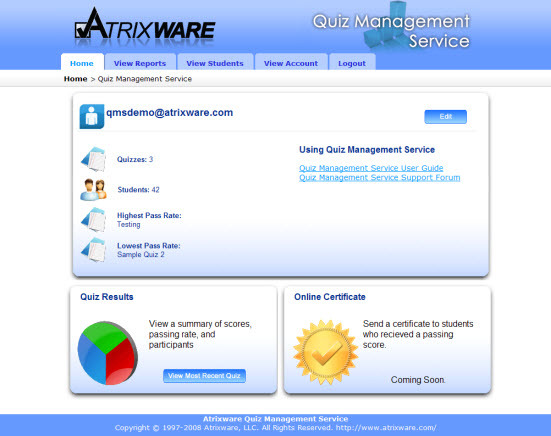 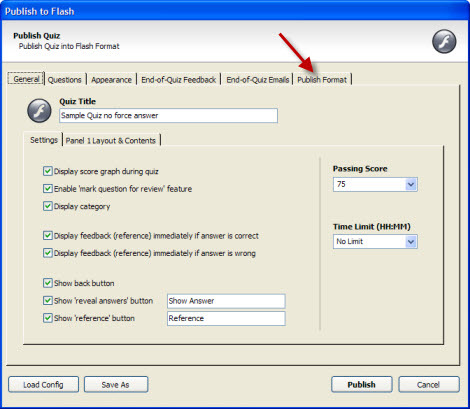 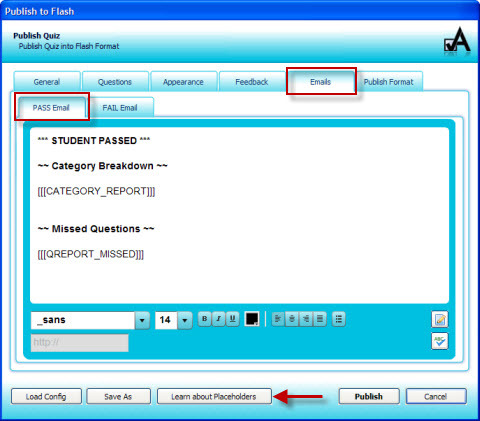 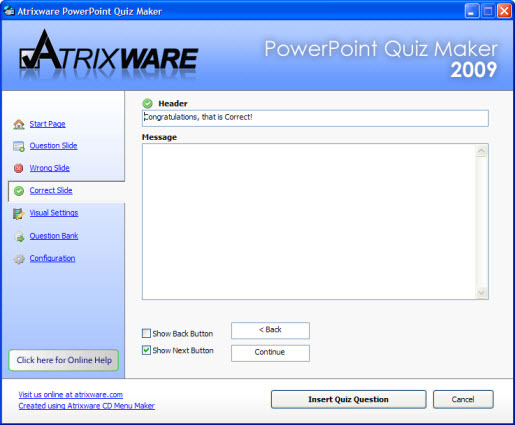 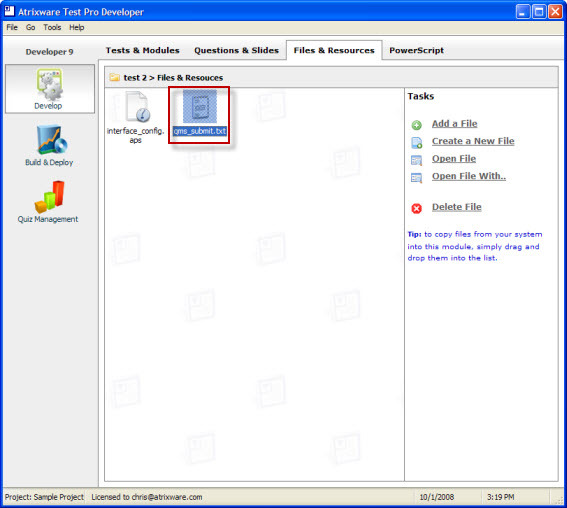 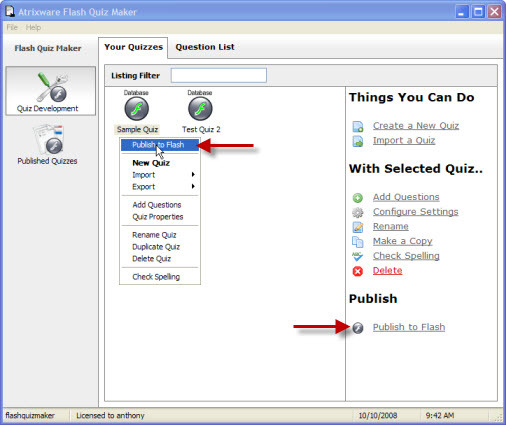 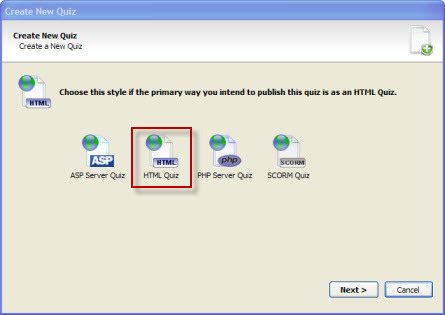 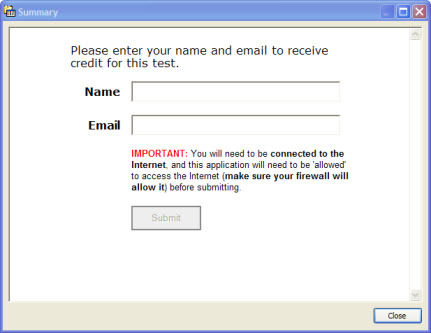 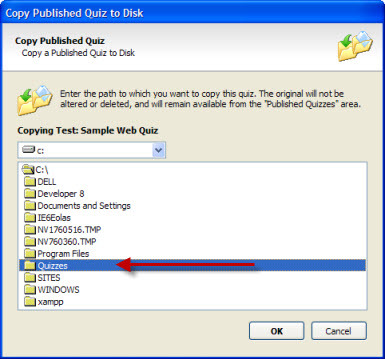 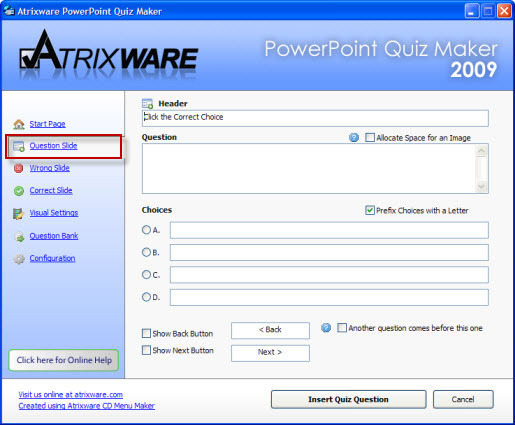 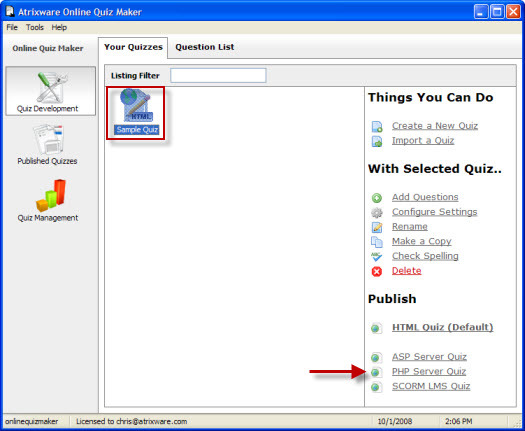 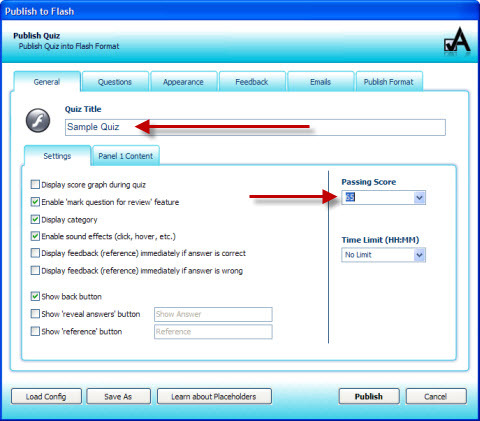 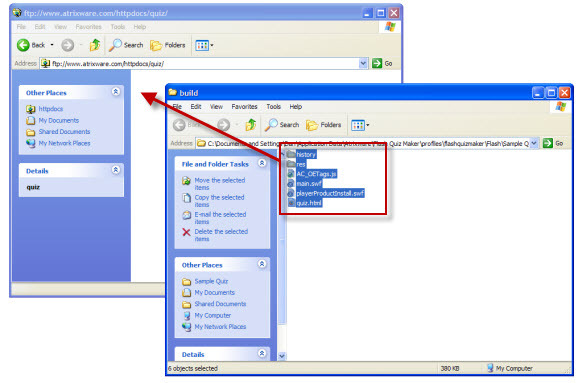 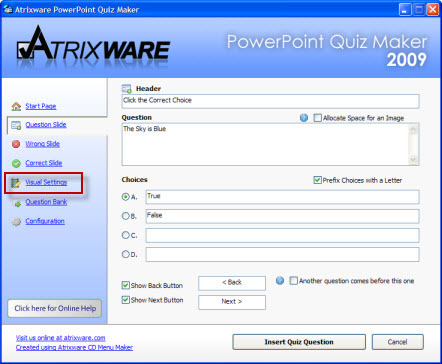 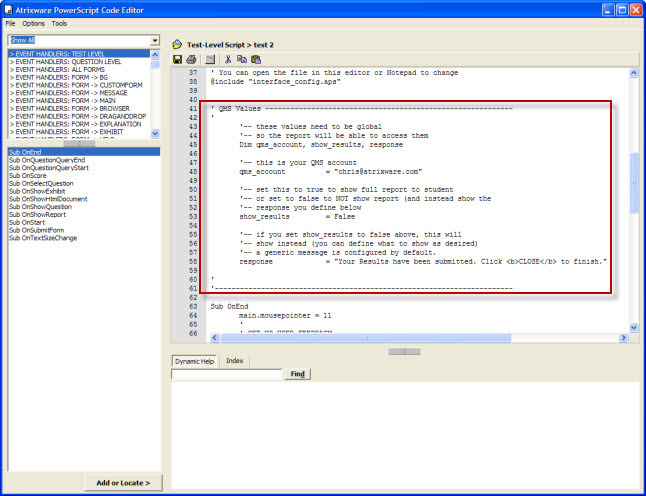 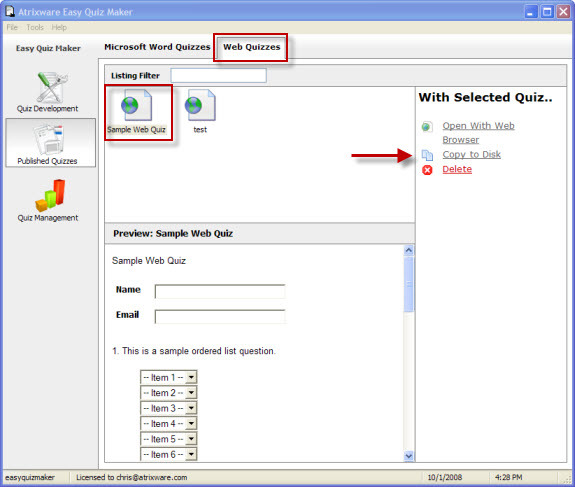 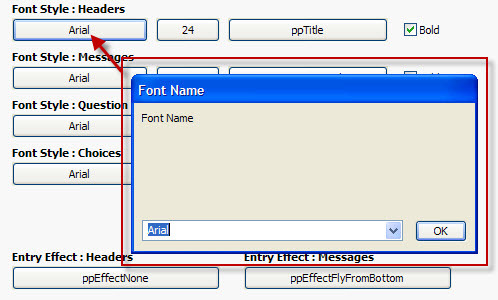 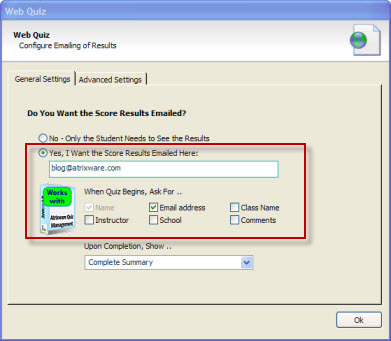 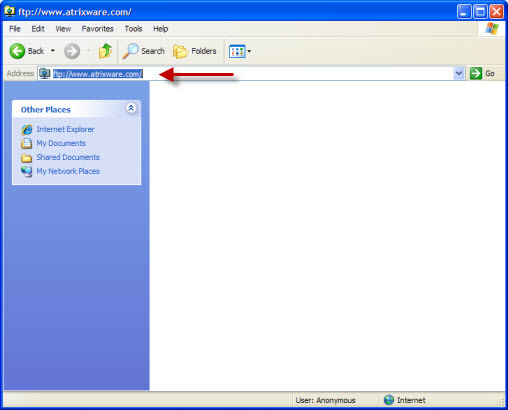 Atrixware Flash Quiz Maker 2009 is designed to let you create a variety of different kinds of Flash Quizzes. 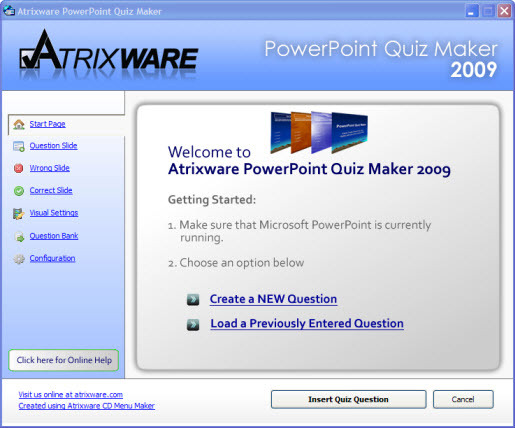 It will be released in October of 2008 (it’s in beta testing as I write this — if you are interested in participating, please email me at anthony at atrixware.com). 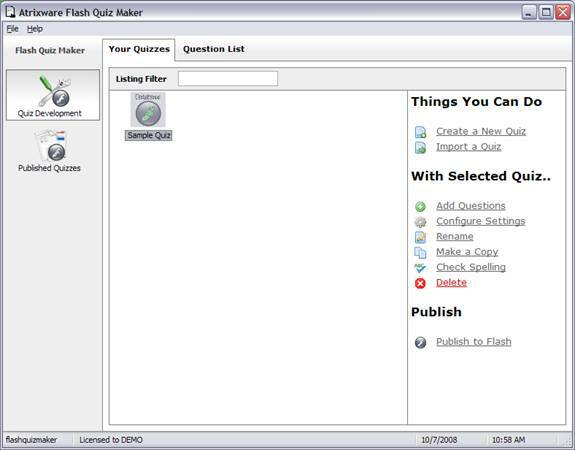 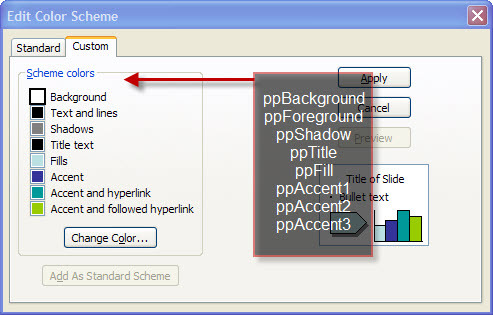 It shares the same authoring interface as our other quiz maker products (like Easy Quiz Maker, Online Quiz Maker, and Test Pro Developer), and shares a common import/export format for multiple-choice questions (so you can, for example, use your questions across all products). 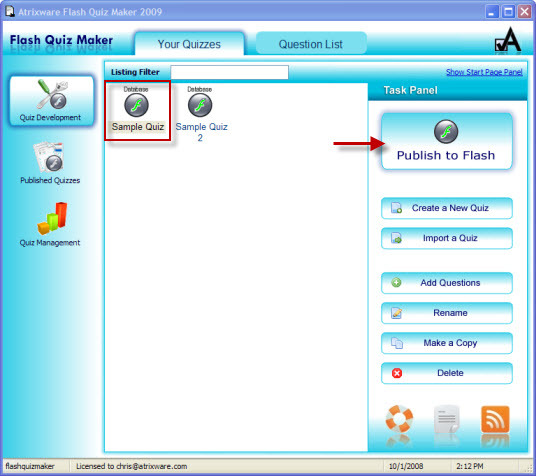 Just as a teaser (and a sneak peek), I have published off a few example flash quizzes. 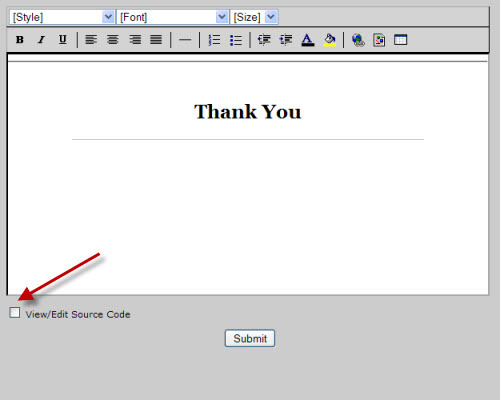 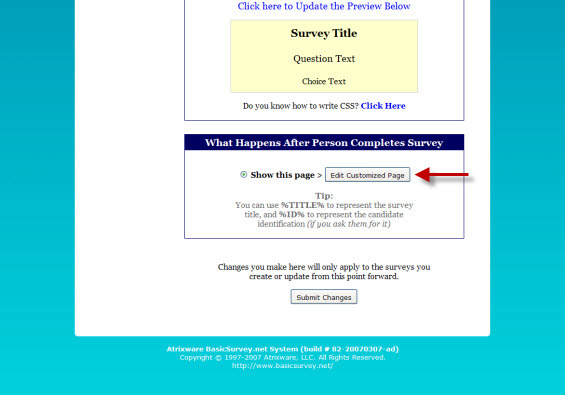 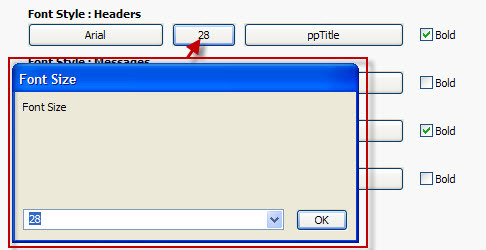 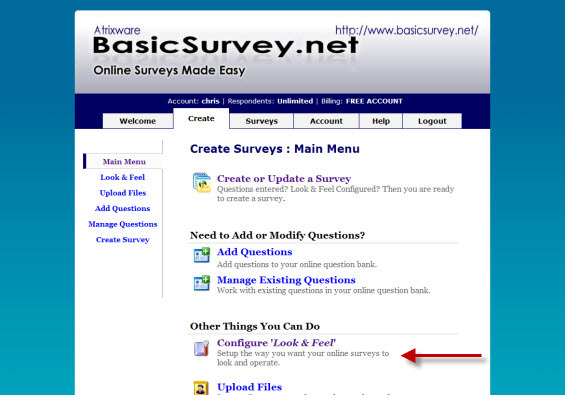 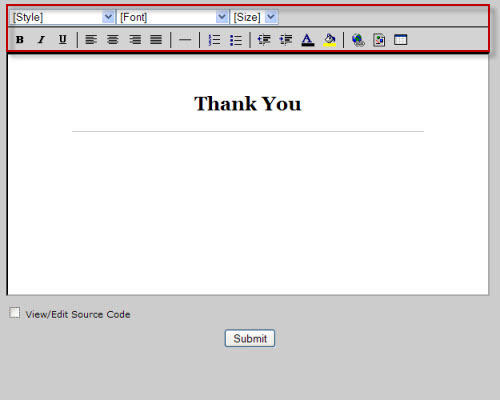 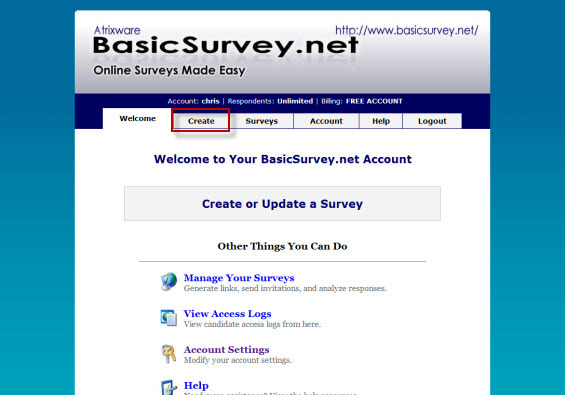 Note that these operate on a web server, although Atrixware Flash Quiz Maker 2009 can produce CD-Rom quizzes as well. 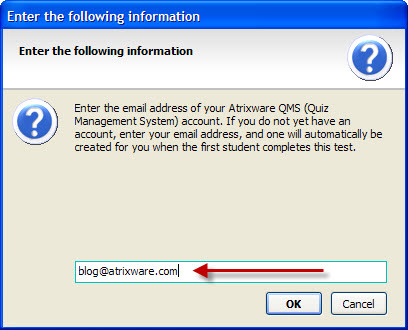 Look for news on the release date in October 2008, and once again, if you are interested in participating in the beta, please email me at anthony at atrixware.com.